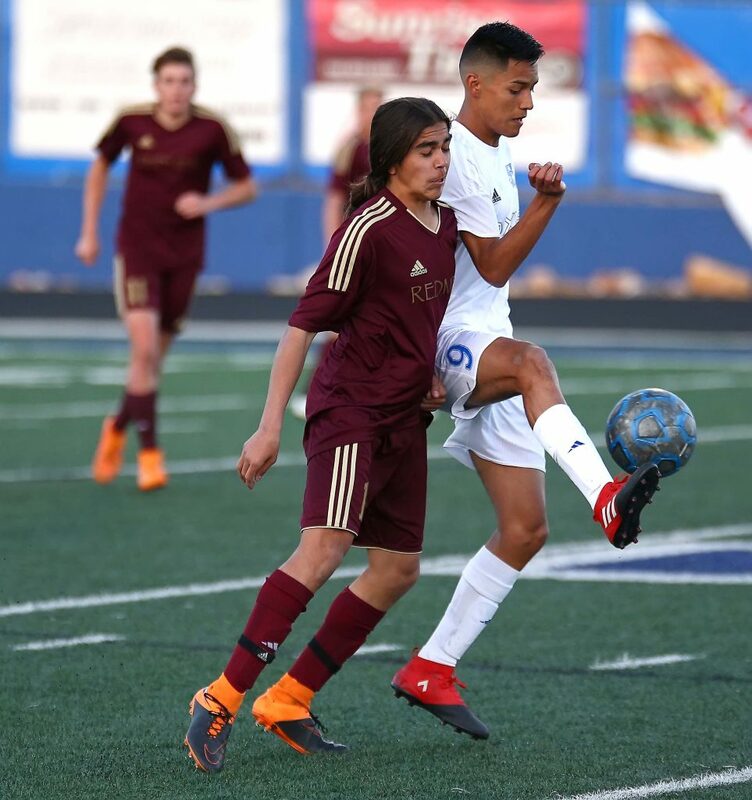 ST. GEORGE – The three favorites in Region 9 all came away with wins Tuesday night in the first full week of region play. 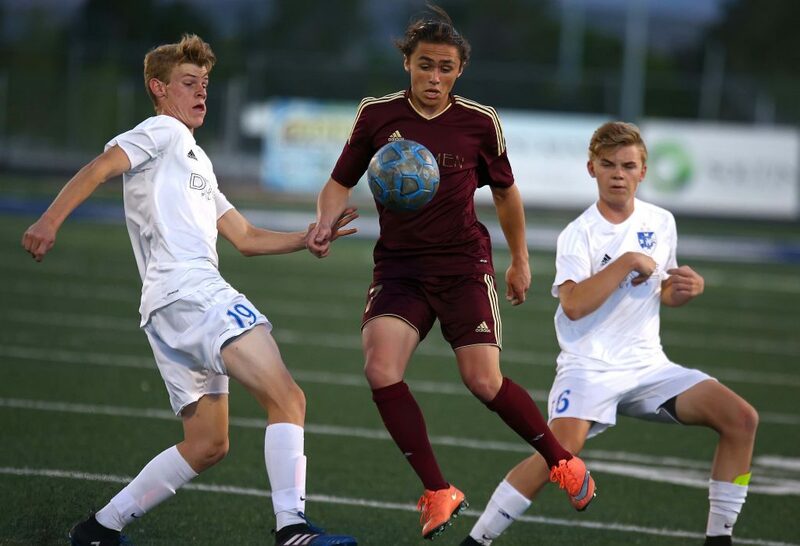 Dixie needed a late rally to top Cedar, while Desert Hills and Snow Canyon won by multiple goals. 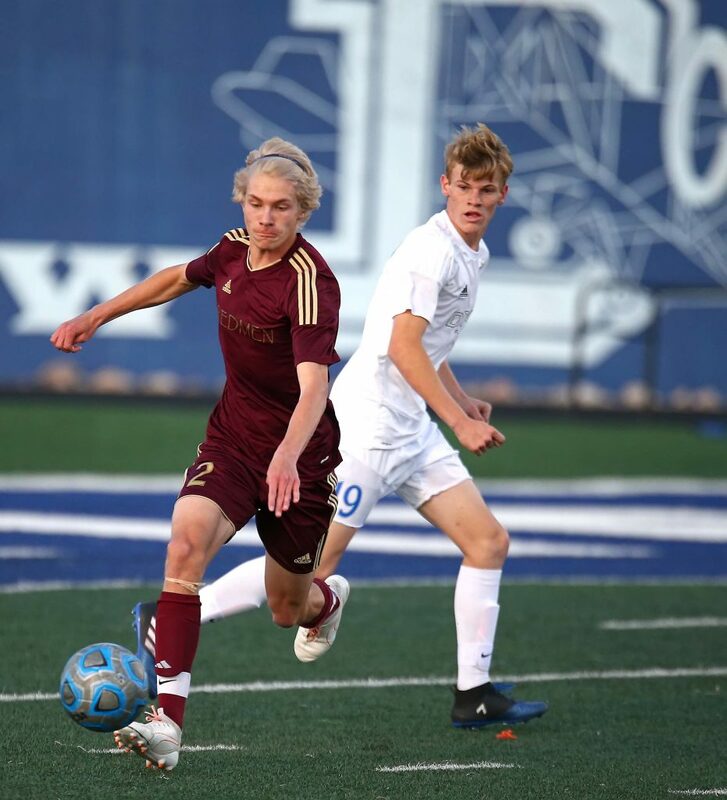 Cedar nearly had a chance to take down Dixie and earn its first region win, but a late red card allowed the Flyers to score two goals in the final four minutes to earn the 2-1 victory at Walt Brooks Stadium. 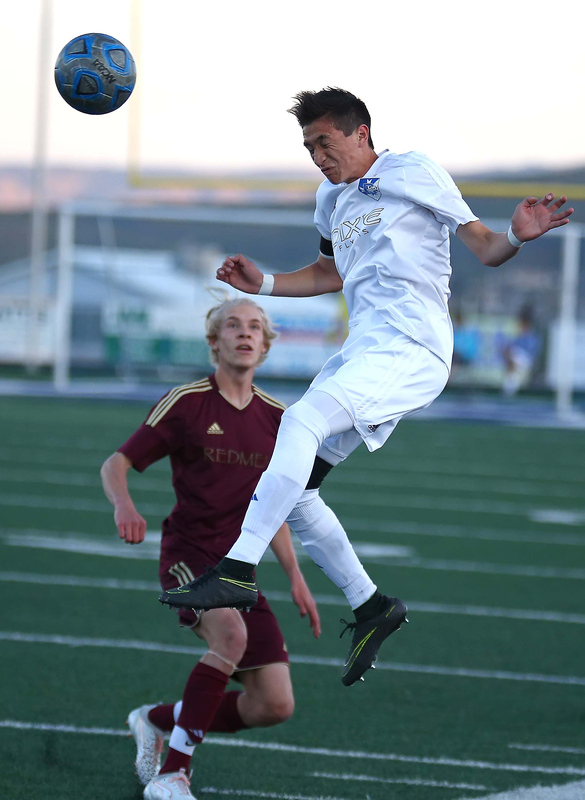 Cedar scored in the first 15 minutes of the match, led at halftime, and nearly left St. George with a big victory, but came up short. 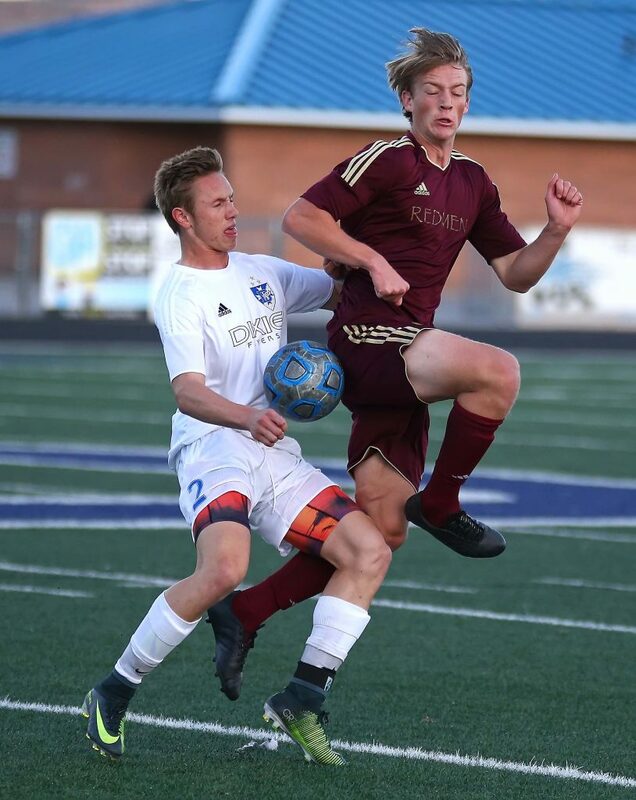 Dixie head coach Burt Myers said he was worried about the outcome, but that red card helped to sway things into the Flyers’ favor. Cedar head coach Scott Kamachi thought the team played well. Cedar’s Beacham scored the Redmen’s only goal. 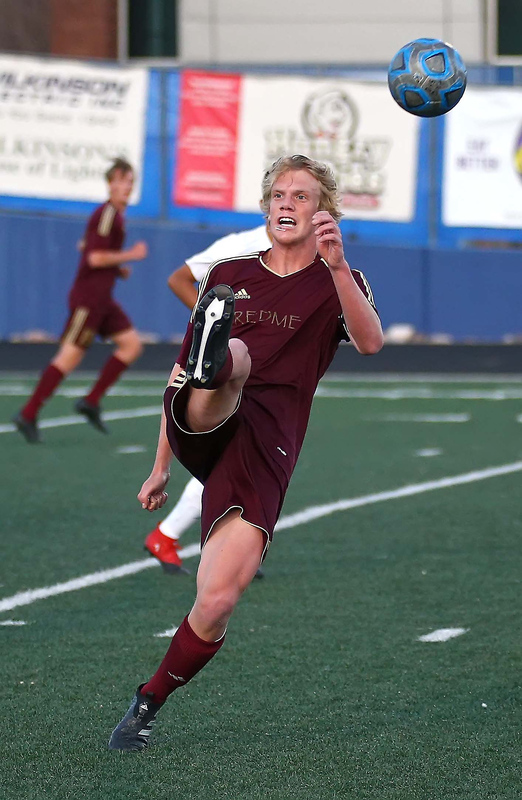 He received a pass from Ethan Fletcher that got past the back line of defense, leaving Beacham one-on-one with the keeper. He buried it in the back of the net. That was the lone goal before the half. 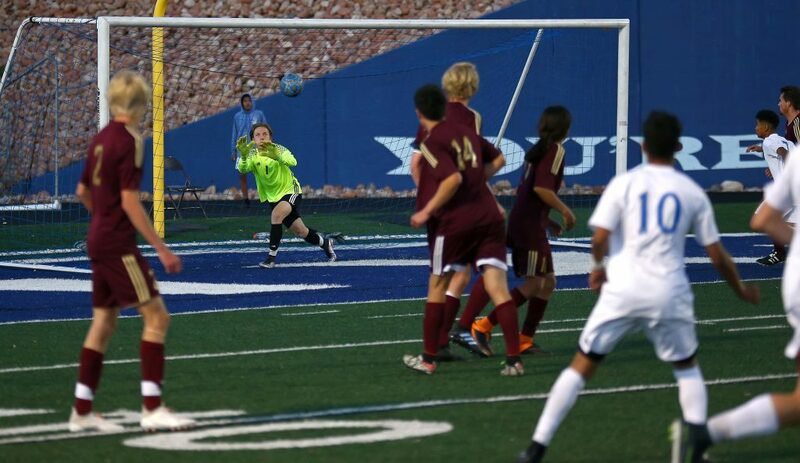 Cedar’s keeper, Jake Rehkop, broke his finger against Snow Canyon Friday and didn’t play Tuesday, leaving Abe Brower to defend the goal. 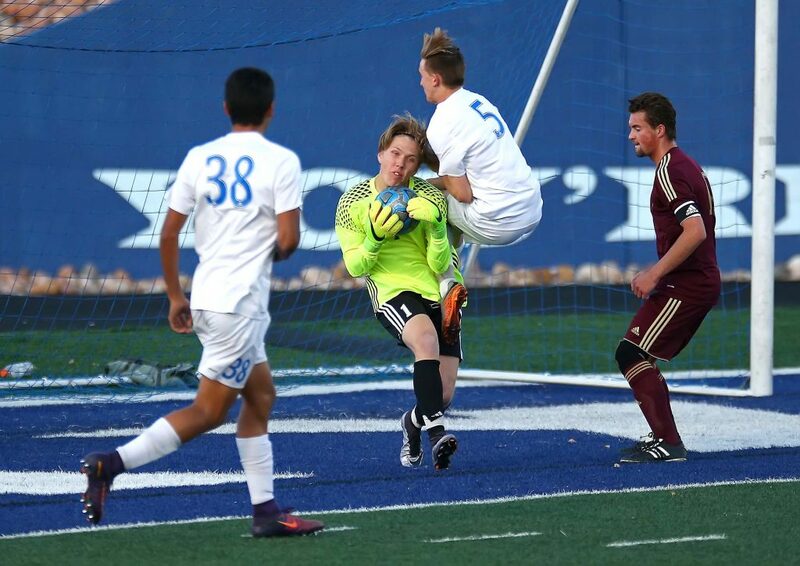 “We had a kid never playing goalie before in his life, have a bad goal kick that went right to them and they were able to get a goal,” Kamachi said. 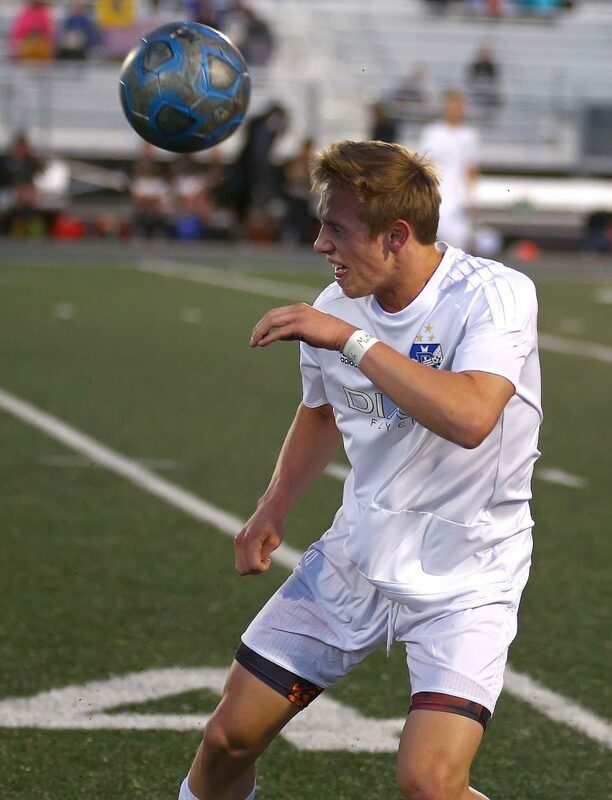 Beacham earned himself a yellow card in the first half, then picked up a second one with 12 minutes to play in the second half, resulting in a red card, which kicked him out of the game. 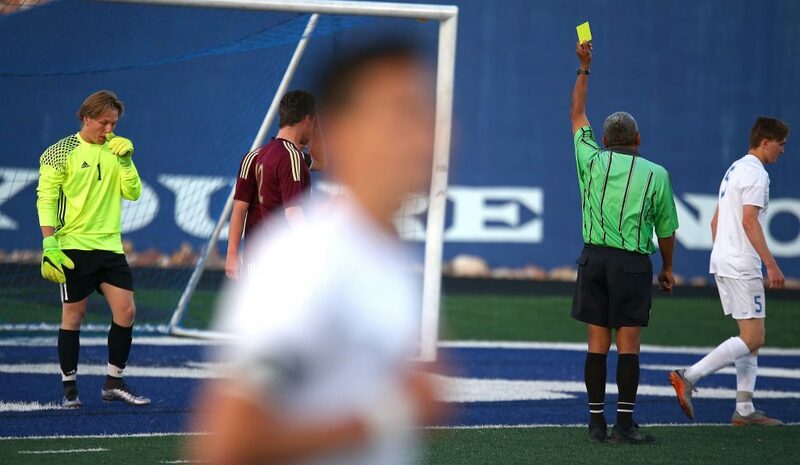 A red carded player cannot be replaced by a substitute, so Cedar played with one less player on the field. 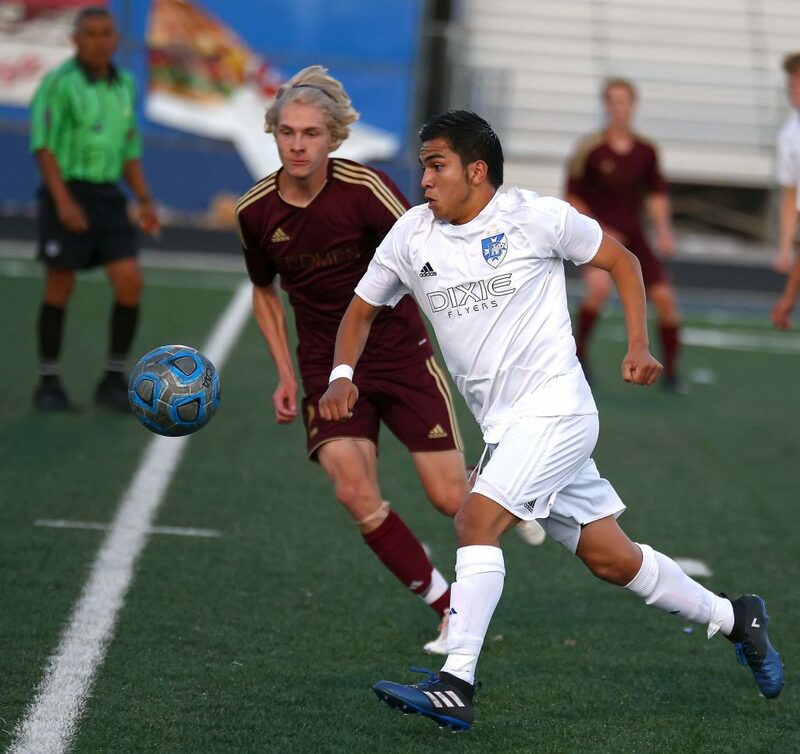 With three-and-a-half minutes left, Jose Morales crossed the ball from the side in front of the goal and Oscar Quintero knocked it in. 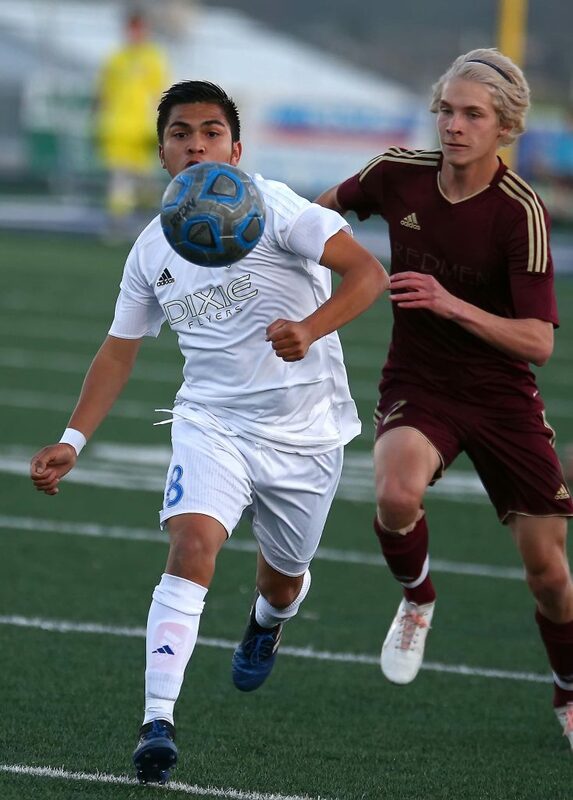 Then, 30 seconds later, Quintero collected a ball bouncing at the top of the 18-yard box and blasted it home for the lead and the eventual win. 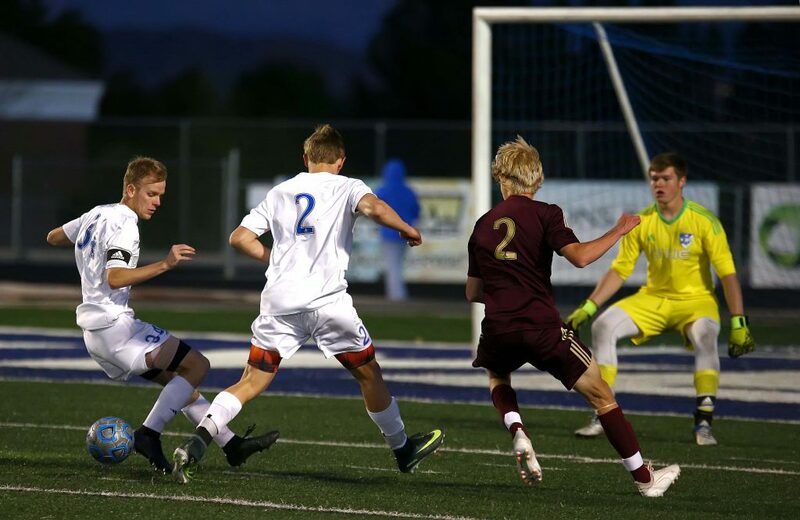 Dixie, 5-2-1 overall and 1-1-0 in region, will host Snow Canyon Friday at 7:30 p.m.
“Snow Canyon is very well coached. 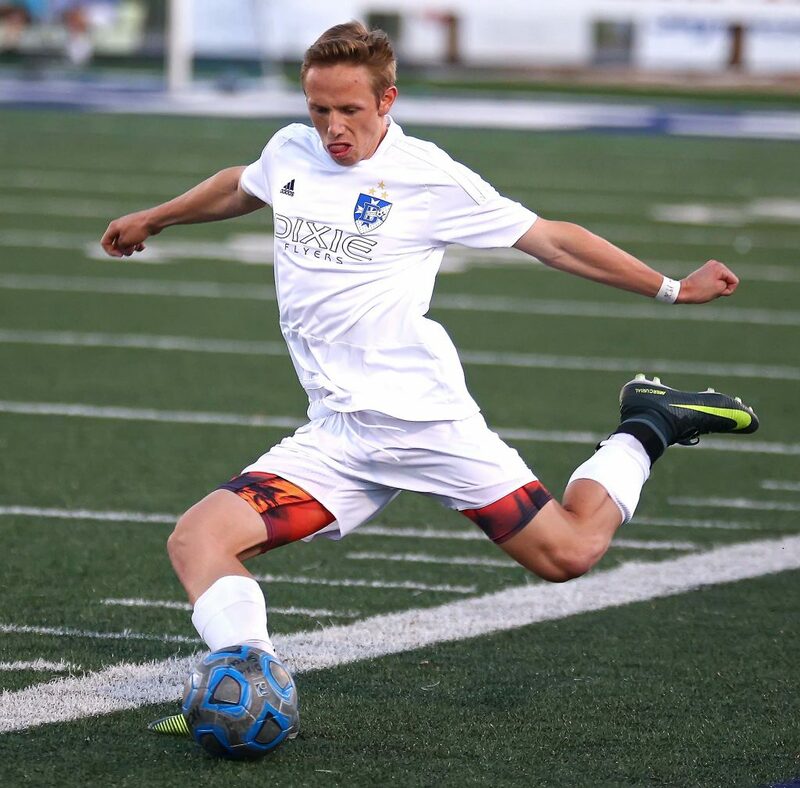 They’ve got several coaches, and they all know soccer,” Myers said. “They’re all good soccer players, they’re athletic and got size. It’s going to be a good matchup. 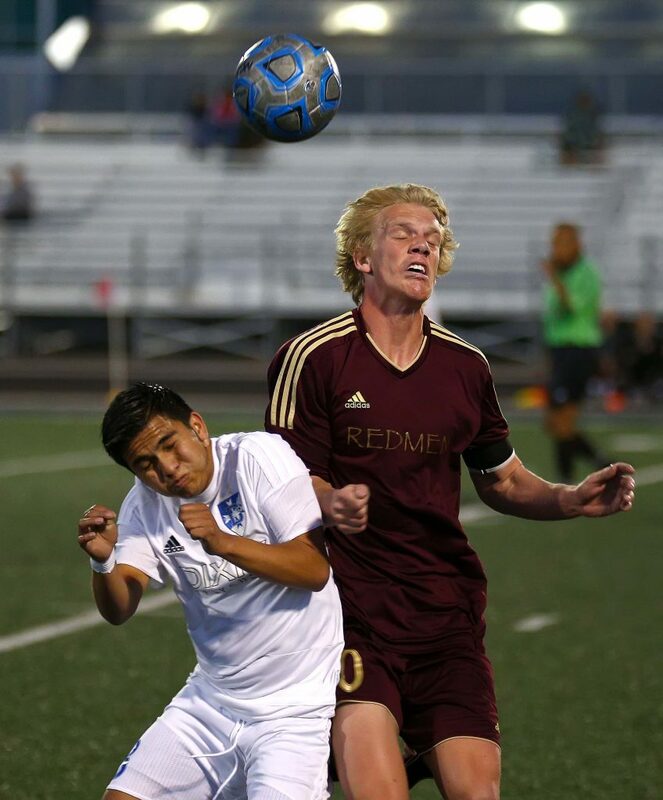 Cedar, 2-7-0 and 0-2-0, will host Hurricane Friday at 4 p.m. The Thunder took a one-goal lead into the half, but then scored three quick goals at the start of the second half to drop Hurricane, 4-1. 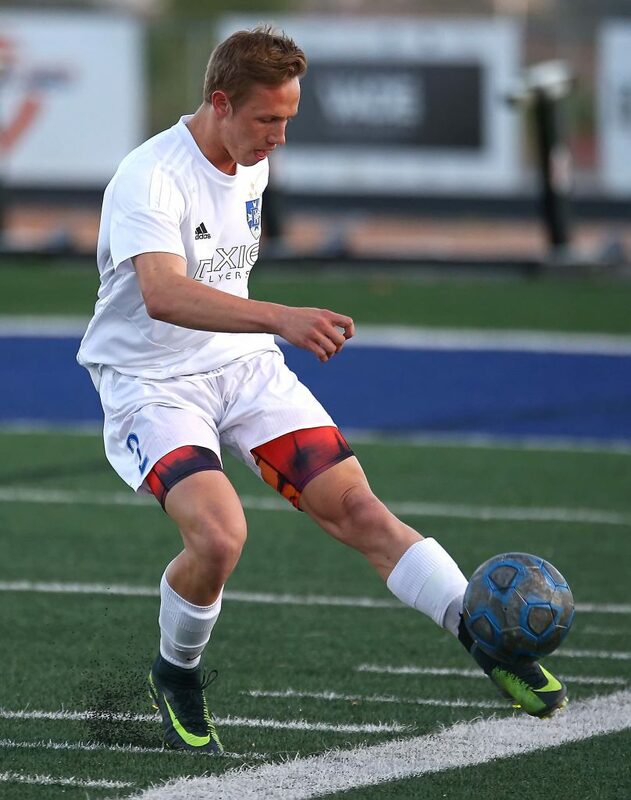 The Thunder’s Bryant McCoy and Ryan Evans scored two goals apiece, while the Tigers’ Tate Langston scored their lone goal. 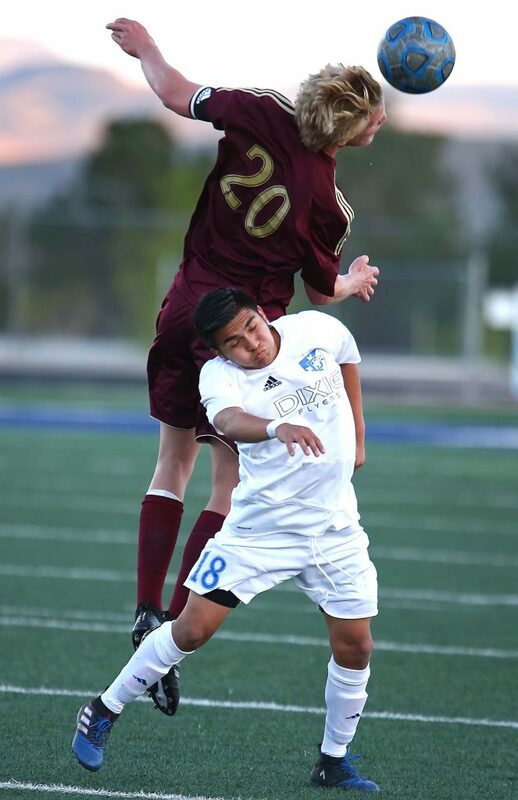 Desert Hills, 6-2-0 and 2-0-0, will travel to Pine View Friday. Kickoff is set for 7:30 p.m.
Hurricane, 3-3-0 and 1-1-0, will travel to Cedar for a 4 p.m. kickoff Friday. 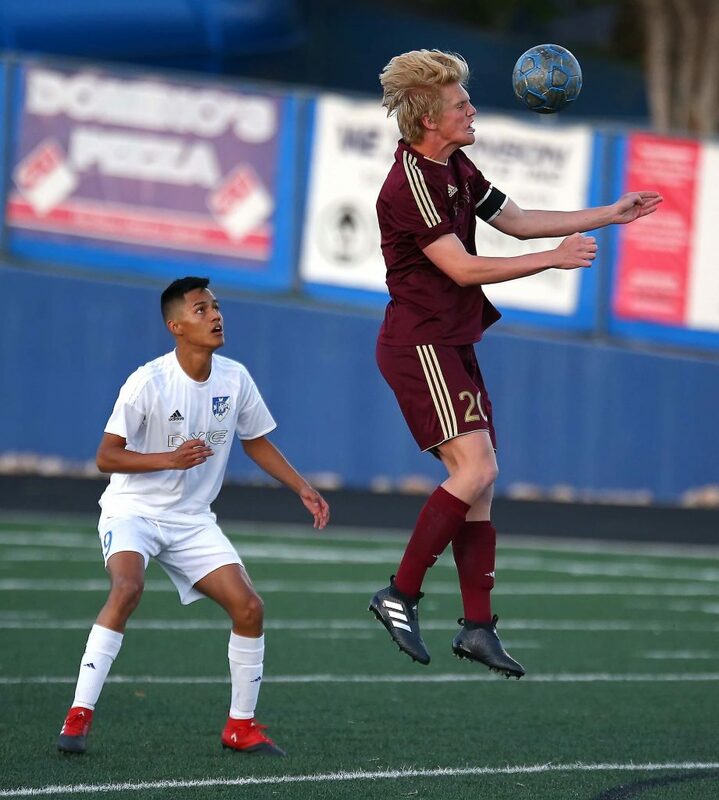 The Warriors got their second region win by topping the Panthers Tuesday to remain tied at the top of the region. 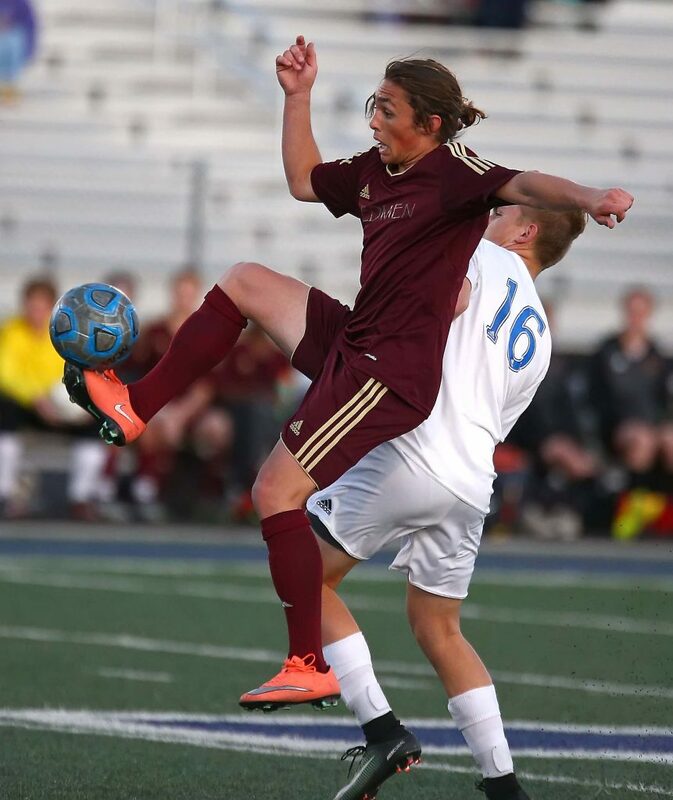 Snow Canyon’s Alex Tholen scored two goals, while Dillon Hargis scored the other. 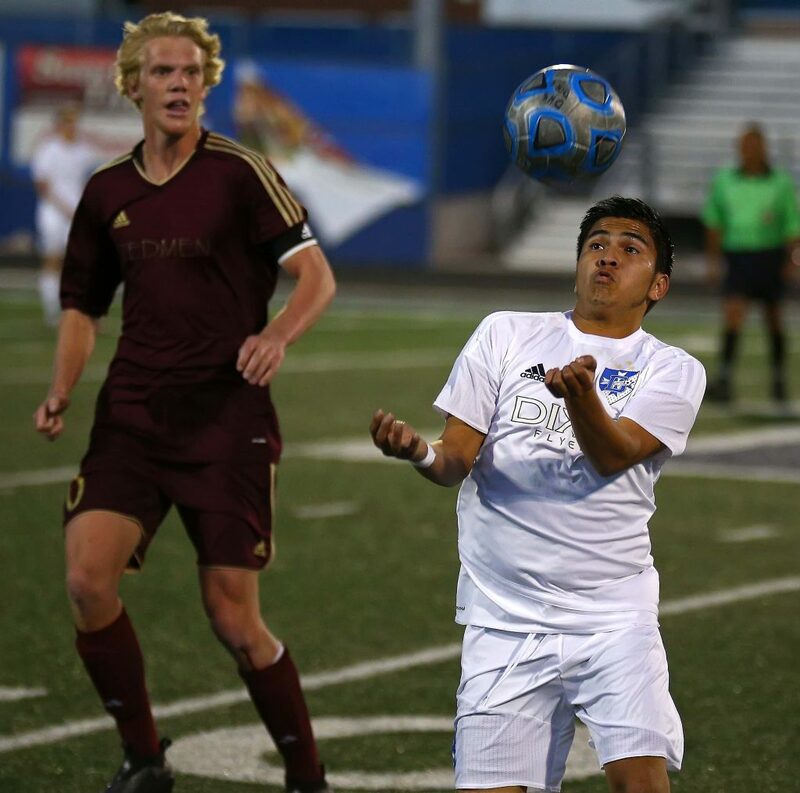 Yetzel Carrillo, Max Kemp and Dillon Hoskins each recorded an assist on the goals. Warrior keeper Austin Mild recorded his first full shutout of the season. 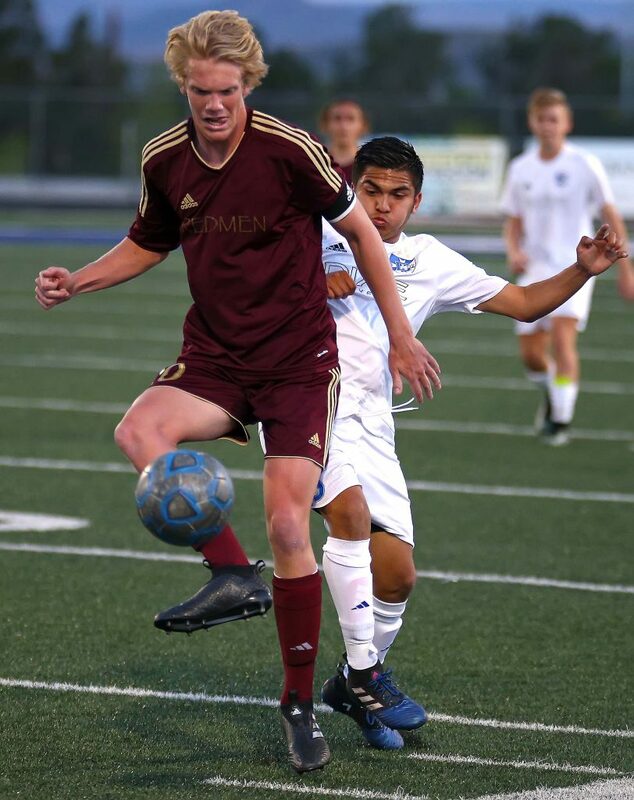 Next up for Snow Canyon, 6-2-0 and 2-0-0, is a match against Dixie Friday at 7:30 p.m.
Pine View, 1-6-0 and 0-2-0, will host Desert Hills Friday at 7:30 p.m.